It appears the long wait is nearly over. Epic RPG White Knight Chronicles is headed overseas to a Playstation 3 near you. Fans of giant knights in pointy armor have only to wait until the game's release on February 2, 2010. Dubbed the "International Edition", this is no mere localization, and adds in several features that weren't in the original Japanese version. Probably the best of the new features, and especially great for co-op fans, is voice chat! You can talk it up with your teammates as you navigate through the 50 extra quests on the disc, plus create your own village to interact in. Topping off the additions is "Live Talk", extra conversations between party members in the main story. 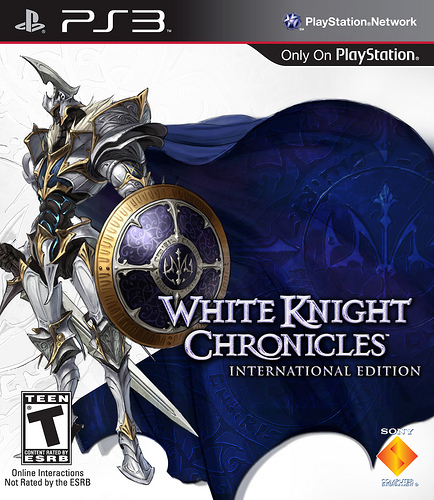 White Knight Chronicles was mentioned as one of our most anticipated games of 2009 earlier this year. Too bad we'll have to wait a bit longer! Page created in 0.2325 seconds.